A healthy future in Finland? You bet! Finland is known worldwide for its leading tech solutions and its healthcare provision. Little wonder then that it is a forerunner in healthtech. Being the greenest country in the world with the cleanest air and the happiest people, Finland has all it takes for a person to live a healthy life. Besides, Finland boasts one of the most effective healthcare systems in the world, with many companies providing digital solutions to improve healthcare efficiency. Hospitals are also attracting growing numbers of international patients for demanding medical treatments. Some weeks ago, Finnfacts led a group of journalists from mainland China, Hong Kong, Taiwan and Singapore to explore Finnish competences in health technologies. Below are some of what we discovered. 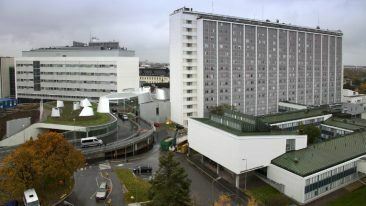 As one of the biggest hospitals in Europe, the Helsinki University Hospital (HUH) is going to be the first in the world to have a hospital-adapted boron neutron capture therapy (BNCT) machine for cancer treatment, which could be offered to international patients through its majority-owned company HYKSin. “One advantage of this new treatment is that you don’t need to treat the patient 35 times, but only one to two times,” says Johanna Mattson, physician-in-chief and director from HUH Comprehensive Cancer Centre. Meanwhile, Docrates Cancer Center is providing diagnosis, treatment and follow-up of cancer patients, with 25 per cent of its patients coming from abroad. Its elevator signs are also in several languages including Chinese. “We utilise Kaiku’s digital patient monitoring system, which is a very convenient tool to communicate with patients far away,” says Ilpo Tolonen, CEO of Docrates Cancer Center. Kaiku Health is a leading remote health monitoring solutions provider with co-operation agreements in several countries and newly secured funding to expand internationally. “95 per cent of the patients reported that Kaiku Health has supported their cancer treatments and recovery,” comments Jaakko Laukkanen, head of sales and customer success at Kaiku Health. Many digital healthcare solutions aim to shorten waiting time for doctors. One example is data management company Avaintec, which founded a Sino-Finnish AI and innovation research centre in China earlier this year in cooperation with partners. The first research project is to provide diagnoses based on AI and machine learning in an emergency centre. The neural network can give a best guess based on medical data inserted by doctors, while “doctors can enter diagnoses which teach the system to be more accurate,” describes Henrik Leinonen, service director of DataChief from Avaintec. Elsewhere, Ninchat provides secure communications for hospitals to enable real-time consultation. Founded in 2007 in the Finnish city of Kuopio, Newicon is a company specialised in medication management and pharmacy automation. 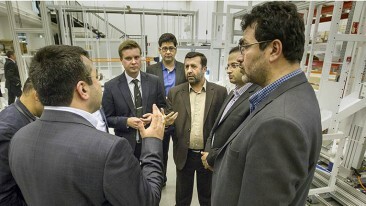 For instance, HUS Pharmacy has been using its automation technologies for years. “We want to give pharmacy full automation. The benefits are both accuracy and speed. The robots can do approximately 60 per cent of drug sorting, while humans sort 40 per cent,” tells sales director Jukka Mauranen. Other than being the market leader in Finland, Newicon has also expanded to the international market with its automation solutions. Recent examples include its smart medicine cabinet, which is used at a Danish hospital, and a newly acquired investment for the market in China. 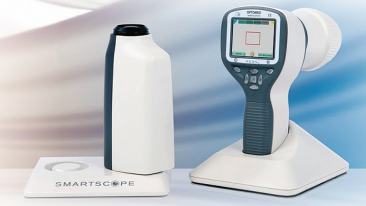 Being listed as one of the 1 000 fastest growing companies in Europe, Optomed has been providing diabetes and eye diseases diagnoses with a smart fundus camera that utilises AI technology. Kuopio-based Bone Index has developed Bindex, a handy device for the early detection of osteoporosis risk. The idea is to bring diagnoses to more people to prevent potential bone fractures and help doctors with the diagnosis. “We can have 70 per cent of the risks diagnosed at home by nurses, while only 30 per cent need to be referred to hospital examination,” says Janne Karjalainen, executive VP and founder. With over 98 per cent of Finnish patient records stored in electronic form, Finland has provided a unique environment for combining genome information and digital healthcare data for research. For example, the unprecedented FinnGen research aims at analysing 500 000 unique blood samples from Finnish biobanks to understand disease mechanisms better and enable more personalised treatments. Meanwhile, Nightingale Health wants to solve the world’s biggest health problem – chronic diseases – by providing an innovative way of analysing blood samples, which can measure more than 200 biomarkers from one sample. “For chronic disease, the healthcare system is only treating sick people, but what we should actually do is to prevent people from getting the disease,” explains CEO Teemu Suna.